According to ESPN, the Saints re-did a couple of deals that saved them about $2.3 mil in cap space. The team re-did the deals of WR Lance Moore and CB Patrick Robinson. 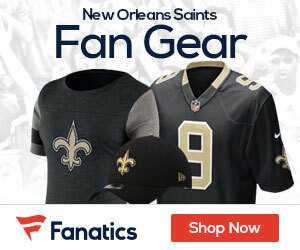 According to contract details obtained by ESPN.com, the Saints restructured the contracts of wide receiver Lance Moore and cornerback Patrick Robinson in recent days. The moves put the Saints at $3.285 million under the salary cap, but that’s not counting the new contracts signed by linebacker Curtis Lofton on Saturday night and linebacker Chris Chamberlain on Friday night. Those deals are expected to be turned in to the league Monday. It’s possible that Lofton’s deal is structured in such a way that the Saints might not have to make any other moves before turning in his contract. The Saints recently signed defensive tackle Brodrick Bunkley to a very cap-friendly deal by giving him a low base salary this season, but including a large signing bonus that’s prorated over the life of his contract. Bunkley’s cap figure for this year is $1.6 million. Chamberlain’s total contract and cap figure for this year aren’t likely to be too large because he’s been a backup most of his career. The Saints dropped Moore’s cap figure for this year from $4.3 million to $2.9 million. Moore didn’t lose any money. His base salary was dropped from $2 million to $825,000, but he made that up by receiving a $1.175 million signing bonus that will be prorated over the life of the contract.